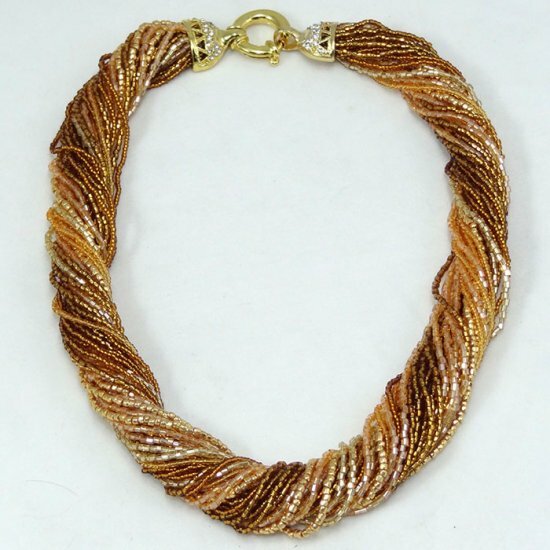 Ricciolo Taupe Necklace - Murano Glass Jewelry - Murano Glass Gifts Co. 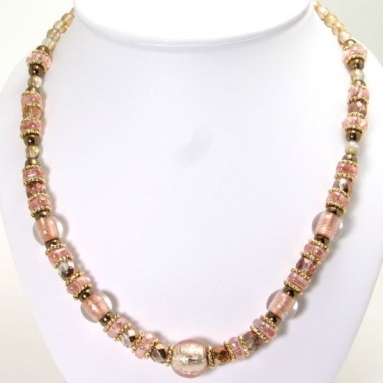 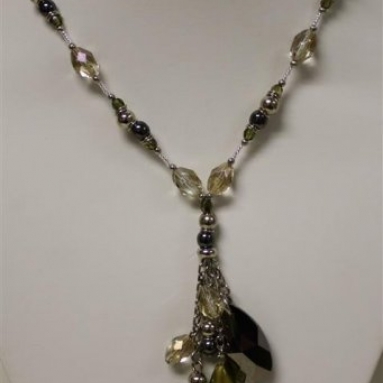 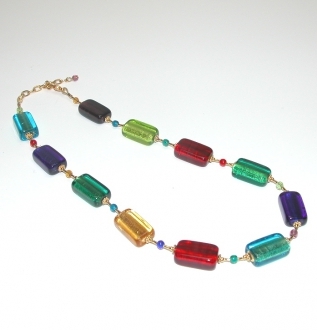 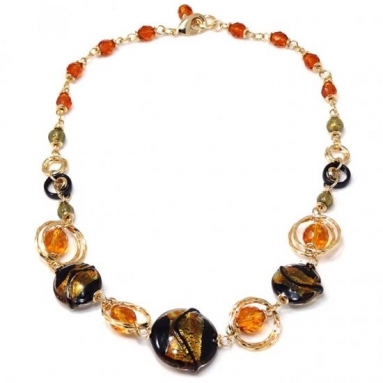 This ricciolo Murano glass beads necklace has a very classy look. 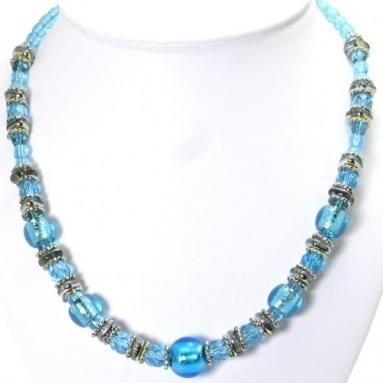 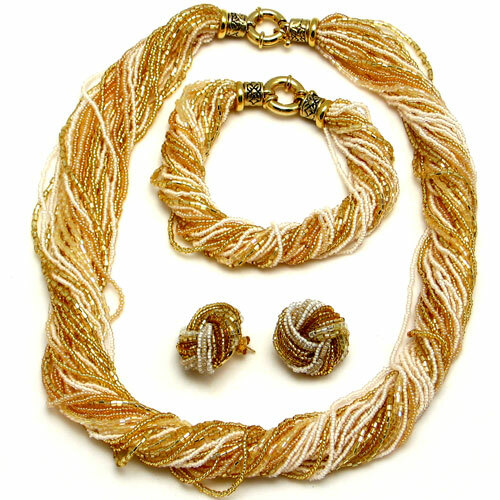 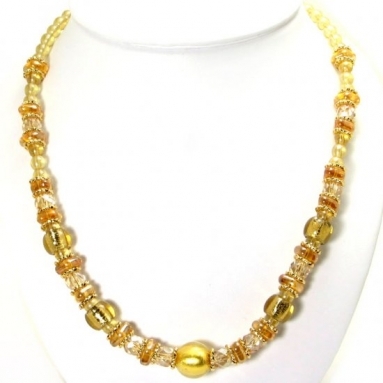 It is made of numerous strands of tiny Murano glass beads. 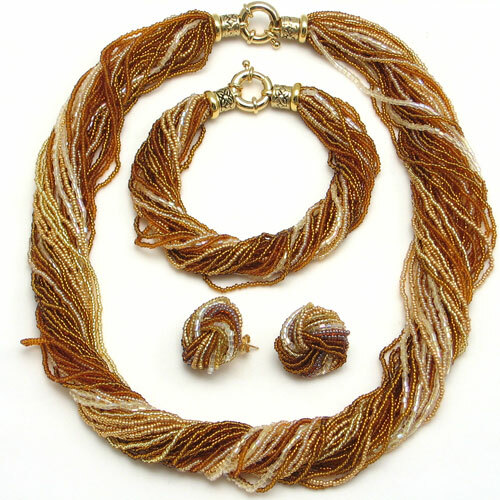 Some of them are smooth surfaced and others are faceted. 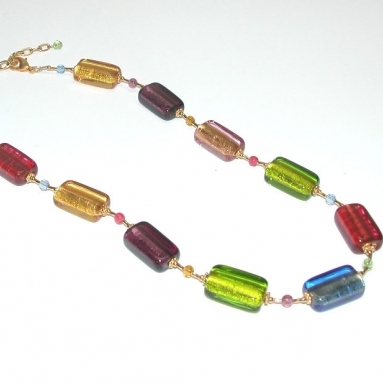 The cut surfaces of these beads reflect light to produce a unique glitter. 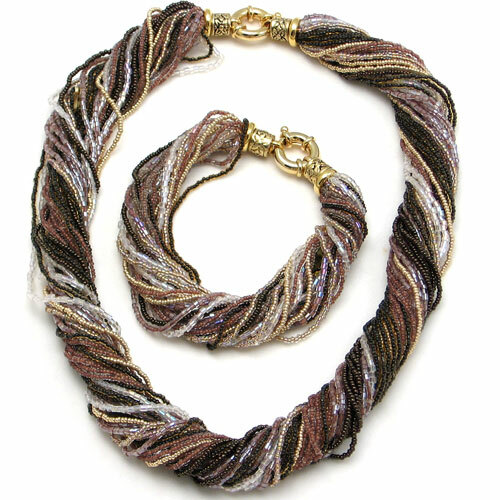 The black and cream strings are entwined with brown to form a taupe look. 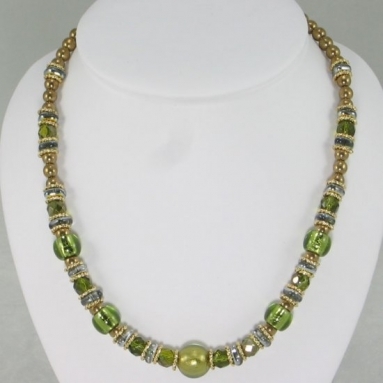 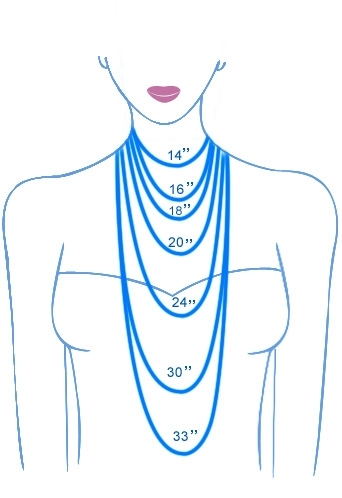 It can be worn with similarly fashioned brace let and matching earrings to radiate a chic look.